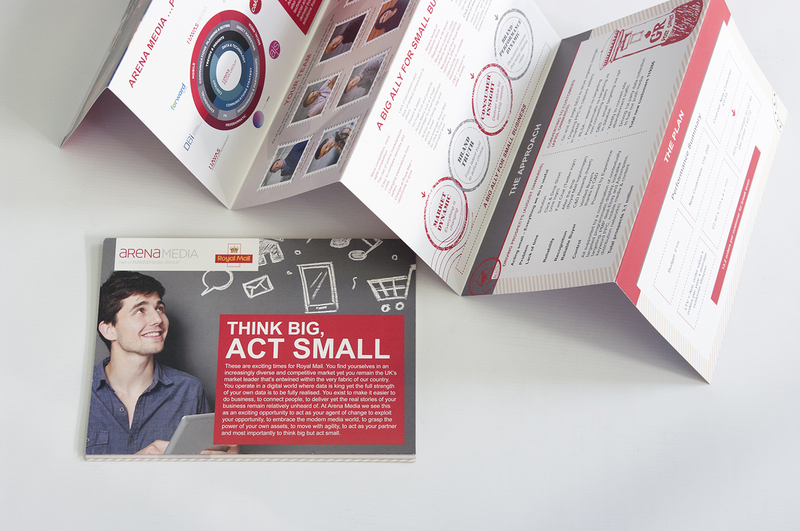 We were asked by Arena to design and print an accordion booklet for a presentation. 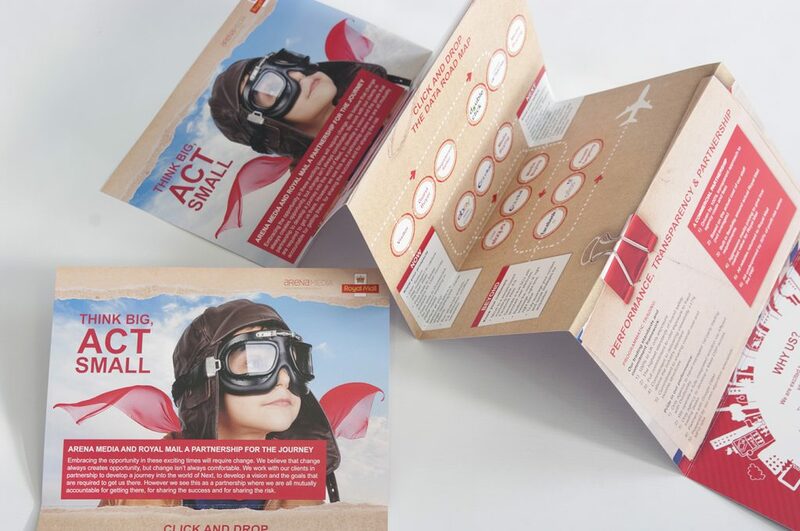 The booklets were printed double sided on 300gsm card. The design is bright, guiding the reader through the different chapters, with infographics and mail styled imagery.